SINGAPORE — South Korea will push for more bilateral free trade agreements with Southeast Asian nations and cooperate to conclude regional trade pact negotiations within next year, the Ministry of Trade, Industry and Energy said Thursday. 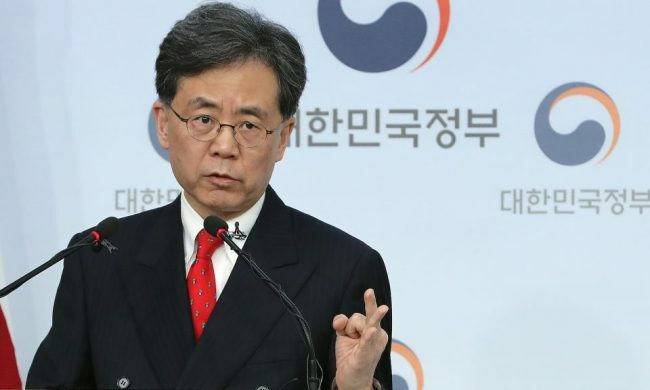 As part of the plans, Seoul agreed to launch a feasibility study on a free trade agreement with Malaysia and resume stalled trade pact negotiations with Indonesia. The measures were agreed upon in meetings between Seoul’s Minister for Trade Kim Hyun-chong and his Indonesian counterpart Enggartiasto Lukita as well as Malaysian Minister of International Trade and Industry Darell Leiking, held on the sidelines of the Association of Southeast Asian Nations and Regional Comprehensive Economic Partnership meetings in Singapore. “It was agreed to (cooperate for) concluding RCEP negotiations in 2019, and to cooperate for further liberalization in Korea-ASEAN FTA,” Kim said. According to Kim, Korea has fewer trade deals with Southeast Asian nations than Japan, making it more difficult for Korean corporations to expand in the region. Japan has free trade deals with seven of the 10 ASEAN member states, while Korea has similar deals with only Singapore and Vietnam. At the briefing, Kim also revealed that plans for holding a Korea-Indonesia business forum were agreed to, and that plans for building an industrial complex for Korean firms operating in Indonesia will be reviewed. Regarding Malaysia, Kim said the country has many areas in which it can cooperate with Korea, and highlighted the Malaysian government’s plans to strengthen cooperation with east Asian nations, including Korea. “The Malaysian Minister of International Trade and Industry and I agreed to cooperative projects to build a more advanced cooperative relationship,” Kim said. As part of the plans, Korea-Malaysia Business Forum will be held on a regular basis, and a joint committee between the trade ministries of the two countries will be launched.